With fans still at war with each other over The Last Jedi, perhaps the most exciting and positive thing happening in the galaxy far, far away is the upcoming slate of Star Wars streaming projects that will further expand the reach of the existing galaxy we know. When The Mandalorian was announced last year, excitement was at a fever pitch. Now it appears that we'll all have something even more to be excited about as the new title in the Star Wars catalog will be seeing its official launch happening just as the upcoming Disney+ service premieres. This is rather exciting news that guarantees a refreshing future for a new set of characters we haven't met yet and will also provide a launching pad for many other series on the new outlet. Along with this news, the Cassian Andor series was confirmed by Kathleen Kennedy as she also announced that the famed droid K2S0, played by Alan Tudyk, would be playing a major part in that other spin off series. The pricing for Disney+ will be $6.99 a month or $69 if paid annually. 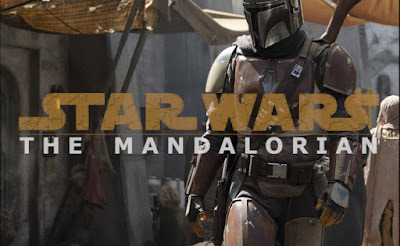 It will launch on November 12th, 2019 with The Mandalorian being one of the primary focuses of their service, along with thousands of other titles. They are also considering a bundle package with Hulu and ESPN.